About a year ago I wrote a post about God's will. Because this is something that I desperately want people to understand, I'd like to elaborate, giving you an additional perspective to consider. I've shared that I'm attending a Bible study by Bill Johnson, called God is Good. And, as always, he gives me lots to think about and Scriptures to ponder. At the center of the discussion is the fact that we have to decide if we believe God's goodness is demonstrated by His perfect will. 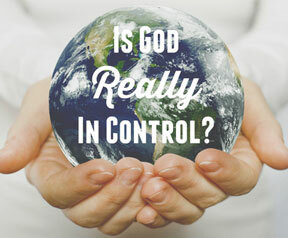 This leads to the question, "Is God in control of everything"? And I will tell you that when faced with the pain of this world; the sickness, death, and emotional wounds, no question will cause more debate within the Body of Christ than that one. At the heart of this discussion/debate is understanding exactly what we mean when we talk about God's "will". Yet, as I wrote in the previous blog post, it is difficult to come to a consensus about what that word means. Well, as revealed in my Bible study, there are actually two words [in the original Greek] in the New Testament that give us two very different pictures of what God's "will" is. The first is the Greek word boulema as it is used in John 6:40, "For this is My Father’s will and purpose, that everyone who sees the Son and believes in Him [as Savior] will have eternal life, and I will raise him up [from the dead] on the last day." It is a determination made by the Father and strongly expresses the deliberate exercise of God's will. As Bill Johnson says, this form of the Father's will is going to happen whether you and I like it or not. It will come to pass. If we believe in Jesus as our Savior, we will have eternal life. There is no other possibility. Another perfect example of this kind of God's will is the certainty that Jesus is returning. No question. He is coming back. The second form of God's will is expressed in the Greek word thelema, and is seen in Romans 12:2: "Stop imitating the ideals and opinions of the culture around you, but be inwardly transformed by the Holy Spirit through a total reformation of how you think. This will empower you to discern God’s will as you live a beautiful life, satisfying and perfect in his eyes." Here, God's will is His purpose (will) that He wishes to be done. Stated differently, His will is His desire for what He would like to have happen -- and has made possible -- but may not necessarily be accomplished because we don't believe it can be done, or we believe it, but are waiting for Him to do it. I can give you a personal example of this. Nearly a year ago, during my yearly eye exam the pressure in my left eye was elevated and an optic nerve was misshapen, causing the Ophthamologist to give me a preliminary diagnosis of glaucoma. In my spirit, I instantly renounced the diagnosis and refused to receive it. I believed that Jesus would heal me. 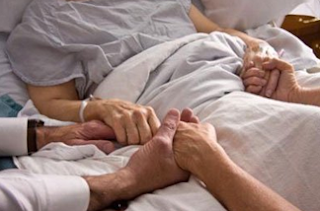 I began praying over my condition, and enlisted faithful prayer partners to pray for my healing. Although, I felt no difference in my eyes, I trusted that Jesus's promise to the leper in Matthew 8:2-3 is the same promise He has for me: Suddenly, a leper walked up to Jesus and threw himself down before him in worship and said, “Lord, you have the power to heal me . . . if you really want to.” Jesus reached out his hand and touched the leper and said, “Of course I want to heal you—be healed!” And instantly, all signs of leprosy disappeared! In addition, a faithful friend who sees in the Spirit, reported that as she prayed for my healing, she saw Jesus lay His hands on my eyes. 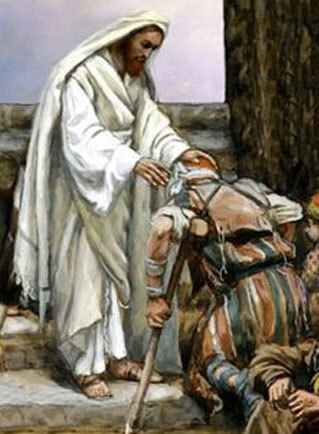 I know that Jesus is the same today as He was yesterday [with the leper] and that His promises still hold true. With my friend's vision, my faith was confirmed. You see, Jesus as God's representative, expressed what the Father wished to be done; what was His will to have happen -- that all who come to Him will be healed; from that leper 2000 years ago, right down to me and you. But remember this is His thelema will, not His boulema will. It doesn't automatically happen, irrespective of us. This type of will requires our participation. Yes, it was absolutely the desire and wish of God that I do not have glaucoma, because there is no glaucoma in heaven. [REMEMBER: Jesus prayed for Thy Kingdom come, Thy will be done, on earth as it is in Heaven]. Could God have instantaneously healed me Himself? Yes. Could I be healed from the further advancement of the glaucoma by taking various drugs for my eyes? Yes. Both would have accomplished a desired outcome. But I was seeking His perfect will for me! You see, we must always realize that personal relationship is what the Father has desired with His children from the beginning. It's what the whole Garden of Eden experience was all about and where He wants to return us. If He had sovereignly healed me, without any interaction on my part, where is the relationship? That question remains the same if I let the drugs do the healing. But when I choose to trust in the power of the Holy Spirit [in me] to intercede with Jesus and my Father in Heaven for my healing, then I go to Them in heart-to-heart prayer and engage in spirit-to-Spirit intercession, pouring out my desire for healing, while simultaneously praising Them in advance for the healing I absolutely believe I will receive. It creates personal intimacy with the Father that cannot be experienced with a distant, all-controlling God. Now, I know that my explanation will not be enough for those Christians who, for whatever reason, are unwilling or unable to consider it. But, to me, that short-changes God and all those experiences in the Bible where Jesus healed everyone who came to Him in trust and conviction that He truly desired to heal them. Just think of all the hurting people in the world, who just like the leper, the blind, and the lame sought an encounter with Jesus so that they could be healed. Jesus represented the Father's desire for those afflicted people. And now we represent both Jesus and the Father! We must display Their thelema will to see the hurting people of our day have the same kind of encounter! True, I can give my testimony to a skeptical world, and they can either believe my story that I was healed of glaucoma, or not. I know that the devil came to steal my sight, and I know he was absolutely defeated by the healing power of Jesus in me. But a testimony is easy to dismiss. What the skeptical cannot disregard is when they see me [and other disciples of Jesus] walking out our belief in His promises and showing them God's will for healing as we lay hands on the woman in Wal-Mart with bad knees and see her dancing, pain-free; or ministering to the young man in the mall seeking an answer from Jesus about his future, and he hears and sees His Lord speaking to him; or praying for the woman laying in a hospital bed with heart arrythmia, whose doctors are confounded when all symptoms suddenly disappear. The world needs to see this kind of God's will on display. They need those same kinds of encounters with the Father that the people in the Bible experienced. God hasn't changed! He still wants to do that! He sent Jesus to show us that it is possible. So the world needs to see us, His children, walking in belief, trust, and confidence as we represent His nature and heart for all people. It's time we understand the dual meaning of God's will and quit laying all the Enemy comes to steal, kill, and destroy at God's feet. Let's give Him the credit He is due. He is a loving Father, who is Good all the time. Period. Matthew 14:35-36 And when the men of that place recognized Him, they sent word throughout all the surrounding district and brought to Him all who were sick; and they begged Him to let them merely touch the fringe of His robe; and all who touched it were perfectly restored.